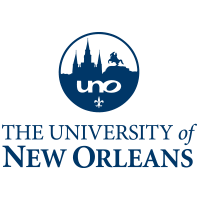 NEW ORLEANS - The Louisiana Board of Regents has approved a new professional pilot bachelor of science program at the University of New Orleans. The program, which still requires approval from the Southern Association of Colleges and Schools Commission on Colleges (SACSCOC), will prepare students for a career in the field of aviation. Details were shared in a press release. The University plans to conduct the program in collaboration with New Orleans Aerial Tours & Flight Training, which is located at the Lakefront Airport, a five-minute drive from the UNO campus. The University will take the lead on certifying the faculty while New Orleans Aerial Tours & Flight Training will provide the technical instruction. The professional pilot program will be accredited by the Federal Aviation Administration (FAA) and will blend flight training with rigorous academic study that will provide a foundation for a career in the aviation industry. During the 120 credit-hour program, students will engage in technology-enhanced classrooms, as well as actual flight training. Students who complete the program will meet FAA commercial and private pilot standards, with instrument and multi-engine ratings. A predicted global growth in aviation and the decrease in the number of trainees, both civilian and military, are creating a looming shortage of pilots, Williams said. In Louisiana, the 10-year growth projection for commercial pilots is 320 jobs with an annual total of 80 openings per year from jobs in the occupation and as a result of retirement or turnover. According to the Bureau of Labor Statistics, the mean annual salary for commercial pilots in 2016 was $86,260. The University will begin accepting applications only after the degree program has been approved by SACSCOC, the University’s regional accrediting body.